You’ve looked at tons of pins on Pinterest, scoured images on Instagram, watched the tutorial videos on YouTube. You glance over at your craft table and think “hey, I can do it too.” I can start a DIY and Craft blog. After all you make great projects and you just want to share them. And you should. Your work will inspire others and the blog can also be an additional hobby for you. Affiliate links uses on items I truly recommend. See disclosure here. Who Should Start a DIY and Craft Blog? What Do You Need to Start a DIY & Craft Blog? And maybe some patience, resourcefulness, and commitment. You will also need to be at least a little tech savvy (or at least willing to learn). As I mentioned before, there are some startup costs associated depending on your ultimate goals. The most important thing you will need, however, is time. Time to research, time to learn, time to blog, time to promote. If you want to start a blog but just use it to update your family and friends on your life, then use a free platform like Blogger or Tumblr or just update your facebook status. If you’re looking to grow an audience beyond your relatives and get serious about blogging, then read on. 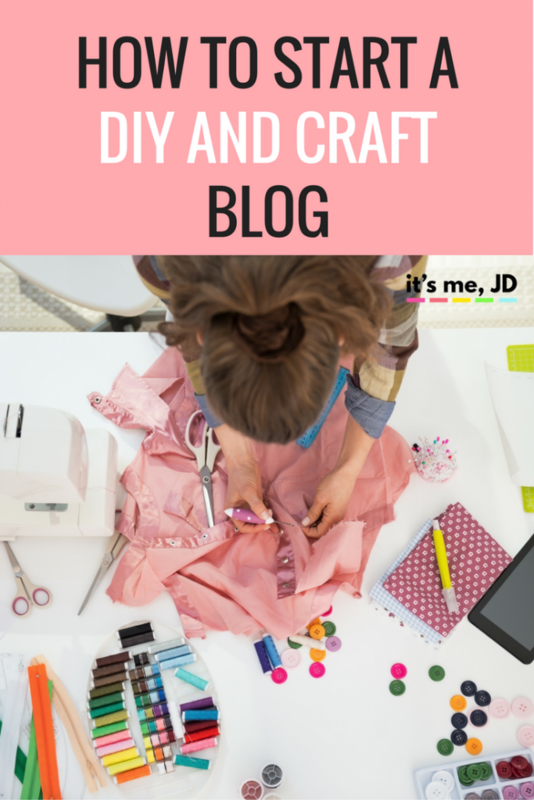 Why Should You Start a DIY and Craft Blog? You can blog for yourself as I said before. Crafting is fun, and it’s fun to share with others what you have made. You can inspire others the way others have inspired you. You can learn new tips or techniques. You can connect with a community of other like-minded individuals. You don’t have to blog with the goal of becoming a big name blogger. There’s nothing wrong with blogging just for you. That was the intent of blogging… to have an online journal. So, whether you just need a place to record your thoughts online or you want to share your life with the rest of the world, blogging is a great way to express yourself. With search engines, YouTube, wiki-hows, ehows, and countless articles (such as this one), starting a blog is pretty simple. Even for the least techie person in the room, there is an endless amount of resources, most of which are free, to help you start, grow, and maintain your blog. I’ve met so many people through blogging. Since I have a specific niche, I have met other bloggers who have become really good friends. Some have become really great friends (even though we’ve never met in person). 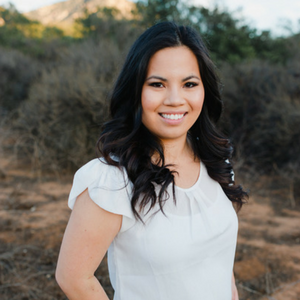 From readers of my blog to other bloggers to business owners, blogging has allowed me to come into contact and connect with other people that I would have never met otherwise. It allows for creativity From the topics of your blog posts to the design of your blog, there are plenty of opportunities to express your creativity. Sometimes the highlight of blogging is creating the photo to go with it. There are so many free resources for you to get inspired now. When you first start blogging, it seems like a pretty simple process and you can keep it that way if you like. As you blog grows, you learn that there is world of web development, SEO, social media, blog monetization, etc. You are constantly learning, growing, and building new skills and learning new terms. If you want to start a blog and hope that it replaces a full-time salary, you may want to rethink some things. Perhaps 0.001% of all bloggers have been able to do this. I’m not saying it’s not impossible. I’m say it’s very improbable. Money, or at least profit, should be viewed as a perk if you plan to blog on the side. If you’re looking to do full-time blogging, understand that it really is a “full-time” commitment if you want to possibly make a substantial amount of money. Still, there is money to be made if you do it right. This is also a tie-in to money. If you’re blogging in an effort to become famous or becoming a published book writer or getting your own show, please understand that the chances are slim. I honestly, truly, am not trying to deter you from blogging. I just want to help manage your expectations. Again, not impossible, just improbable. Feedback will come in the form of comments (or lack thereof) and traffic stats. It’s as if you gave the public a big red pen and said “Here.. Grade Me”. There’s also the possibility that people will won’t like what you have to say, and that’s ok. However, to be blunt, some people may be mean/rude/cruel. Perfect strangers might troll you until you and everyone else hears their opinion. They may not like what you do, and they will let you know about it. Blogging takes some thick skin, but hey there’s always the “delete comment” button. Blogging successfully will only work if you are passionate about it. If someone saw your projects and told you to start a blog, but you truly have no interest in blogging, then your blogging career will be short-lived. On top of that, it won’t be fun either. Blogging allows people to connect. If you’re not connecting with your readers, you blog will not go far in terms of traffic. If they read your blog and post a comment, try your best to respond or engage. You can’t engage them all, but you should at least try. It may be tempting to use a site such as wix.com or weebly.com or squarespace.com, however, I think these sites are more for small business ownders whose content is ok remaining static. An example would be a hair stylist advertising prices, or an accountant advertising services and hours. A blog should have recent and updated content every so often, so you want something that’s more dynamic that a static site. I will caution you that if you change your mind later and do decide to make money, it will be a major headache to transfer everything over and rebrand, and it might end up costing you more money in the long run. For less than $100 a year in hosting fees, you can use Bluehost to host your blog and purchase your domain. I used Bluehost for my first few years of blogging so it comes recommended for all blogging beginners. Once you’ve chosen a platform, you’ll now have to choose a name. 1) Look to see if it’s available. Will you do just crafts? Will you include lifestyle or parenting tips? Maybe fashion? Maybe recipes? All things to consider if you are starting a blog. I will say that from personal experience, having some lifestyle posts in there always makes the connection with you and your audience stronger. It’s completely up to you however. For those that have decided to use wordpress.org hosted by Bluehost (yay!) then follow on to the next easy technical steps in starting your blog: How to Set Up Your DIY and Craft Blog: A Step by Step Guide with Pictures.